Have you ever wondered what it was like owning your own yarn shop? Sounds super fun, right? Picking out yarn all day and researching new dyers would be the best job ever! But, when you really think about Eat.Sleep.Knit., all of this is Erin’s. Every wall, skein of yarn, needle & notion, shelf, pillow, photograph, desk, tape gun…every carpet fiber is hers. What is that truly like? The excitement and fun that we have is what we love to portray because, really, we have fun here but Erin wears so many hats that she might need to clone herself. Read along as we give you a glimpse into a day in the life of a LYS owner – the defeats, the joys, the fire alarms, and the victories! Erin has the pleasure of trying to herd 9 kitties. Admittedly, we can be a handful. She has to make sure we are all on task, keeping things running smoothly, and, the thing that’s most important to her, making sure we are all taken care of. From day one, her main priority has been making sure all of her employees are happy which involves a lot. Salaries, health care, job security, general happiness at work are all things that Erin makes sure are covered for us. It’s rare to have a boss like that but these are the things that make us come to work every day with a smile on our faces ready to work hard for her! Erin places yarn orders every week – most of the time, every day. It takes a special skill to know how much to order, when to order, what new dyers to add, what new colors will sell, when to discontinue certain bases, and keeping track of it all. She has it down to a science but so much of her time is spent filling up HER cart so she can keep yours full too! As you have probably have heard, Erin is building her very own building from the ground up! From clearing the land to picking carpet, she is all hands on deck to make this an efficient-for-ESK and, frankly, super awesome yarn shop. Here are some of her regular duties: talking to the contractor at all hours of the day, dealing with delays like the construction crew bringing in a too-small crane that won’t lift the roof trusses onto the building, and making little decisions that add up to BIG decisions like picking out brick for the exterior or deciding where windows should go. Then, there are the completely unexpected surprises that arise like rain delays or a sinkhole that needs to be filled. Yes, at the end of this process we will have a perfect new building but getting there has definitely been a headache for our chief kitty. Erin has a darling family that she loves spending time with. Seeing Levi and Molly grow is really what keeps her going. They are both in preschool now, walking & talking, and becoming tiny humans with feelings and needs and A LOT of adorableness. Then there’s her handsome husband, Dan, who she adores but, being a LYS owner, she might get 2 date nights per year. Family will always come first for her and building this new store so close to her home will allow for more memories to be made at the Walker house! There are so many things that we don’t really notice around the shop that just get…done. Who does them? Erin. She basically manages 5 departments and takes care of the important but forgotten things like: paying the bills, filling out tax forms, payroll, back-end website magic, credit card fraud, banking, stocking boxes & supplies, ordering prizes, customer service, and a million other things that keep this place running. When things go wrong, we call Erin. The roof is leaking, we call Erin. The internet debacle of 2016, we called Erin. Crystal Springs didn’t deliver our water, we call Erin. We should invest in a red phone (or probably a rainbow phone since, hello, we’re ESK) so we can always have a direct connection. I’m sure when she’s snuggled in with the kids watching a movie, she would like to unplug that phone but, nonetheless, she is always there to put out the fires. Basically, Erin does it all. At the end of the day, we are a team and we all work together to make sure everything gets done, no doubt, but we thought it would be nice to give Erin a big thank you. Thank you for sacrificing so much of your life so the kitties can have a wonderful place to work and our customers can have a favorite yarn shop. We see how much you do and appreciate it more than you know! If you’d like, leave Erin a thank you note in the comment section below! 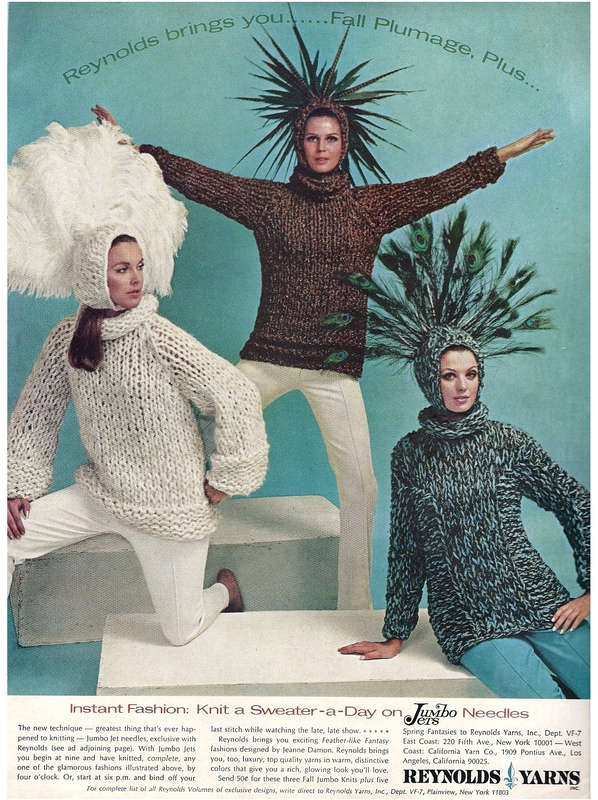 Some things come and some things go but is knitting forever? 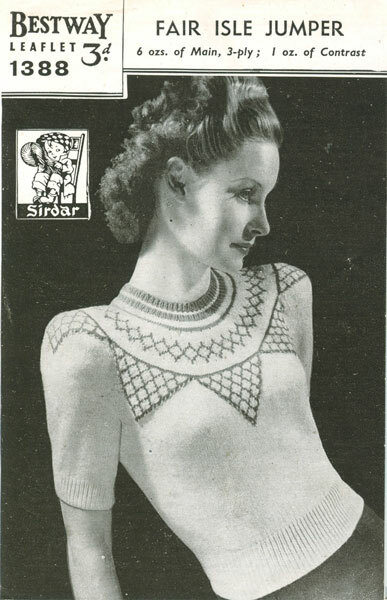 Of course the skill will always be a big part of our lives but what about the trends, techniques, designers, and patterns that make up our knitting/crochet world? How have they changed from, say, 50 years ago? Where will they be in another 50? Heck, another 6 months! 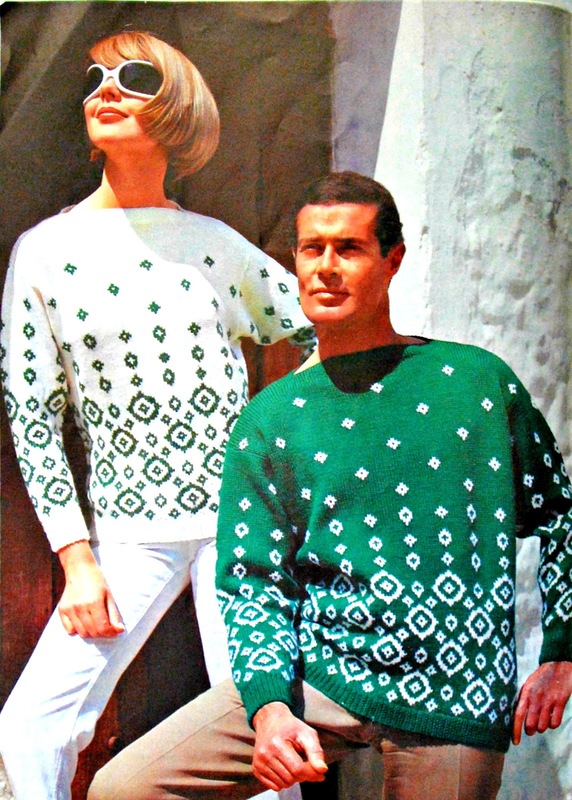 Well, we invite you to sit back and enjoy as we relive some of knitting’s finest moments (in some instances, by “finest” we mean ridiculous…ly awesome) from the decades when knitting seemed more glamorous and classic, knitwear models looked like movie stars, and ads were very…up-front. 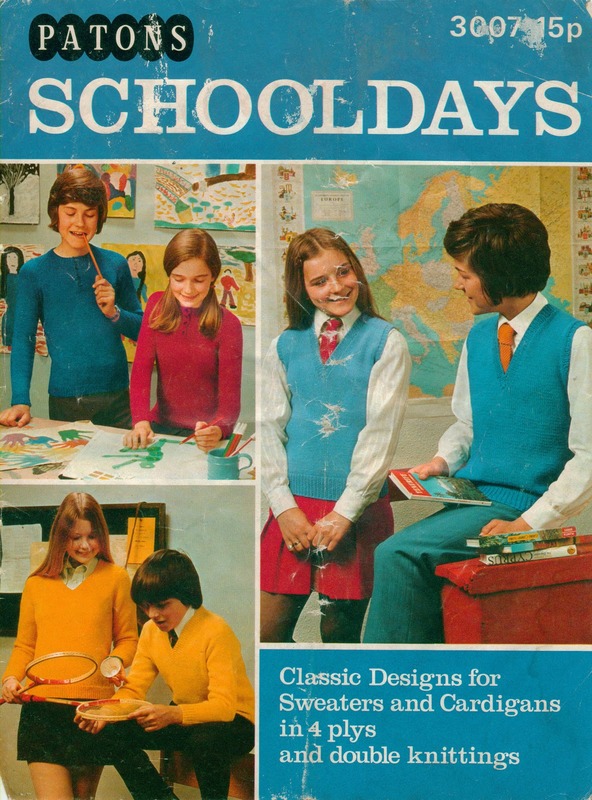 Let us begin with the beauty days or pre-1970. Designers made patterns with sophistication and glamour in mind. These designs would be worn at parties to impress and create buzz around the neighborhood. 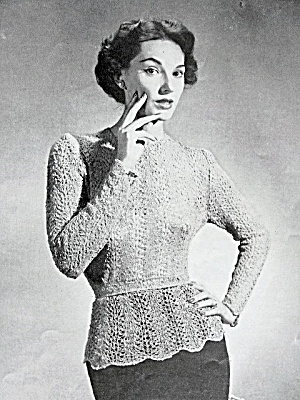 Women took pride in how they dressed and took time making quality knits. Intricate cabling, perfect fit, modest lines that accentuated the waist, and being on-trend with solid seasonal colors were what mattered most. Things started to get a little more interesting in the late 60’s (last two pictures). 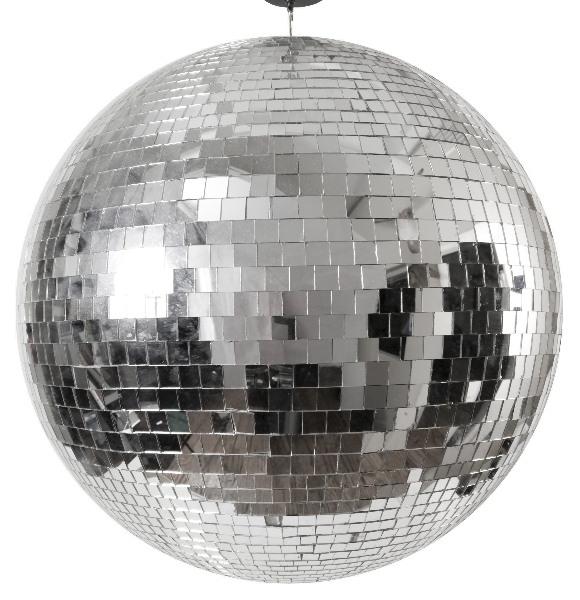 This disco ball could mean nothing else but the 1970’s! Things got a little groovy and a lot funky during this decade. People just wanted peace and love! 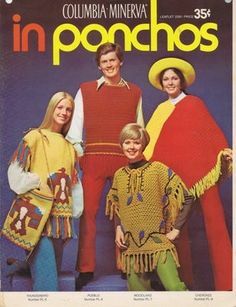 According to their style, people in the 70’s also wanted ponchos, crop tops, fringe, and matching sweaters! For some of you this may be a trip down memory lane and for others it may be inspiration for this year’s Halloween costume! 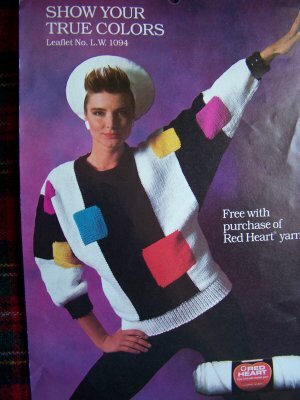 The 80’s until now are when knitting got really fun! Designers got inventive and felt more comfortable making original patterns. From geometric shapes to thighlighters, things really took off in a fantastic way! 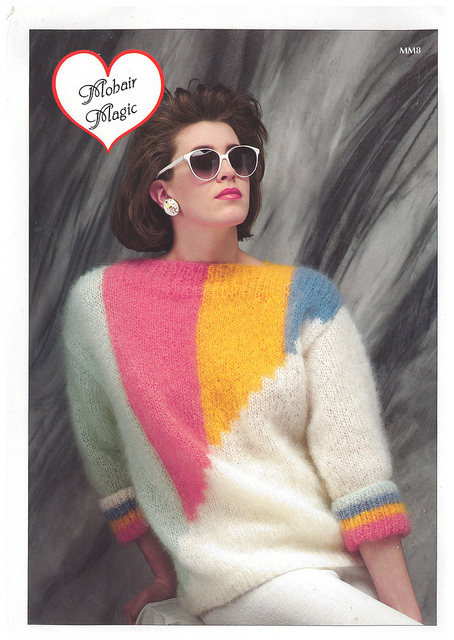 Knitting kind of faded out in the 90s with the popularity of windbreakers, Hammer-pants, and neon puff paint. 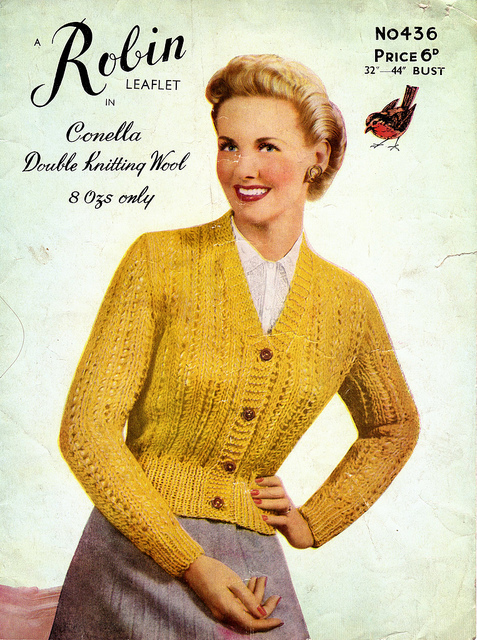 But trends like fingerless gloves and cowls really brought knitting back in the early 2000s! 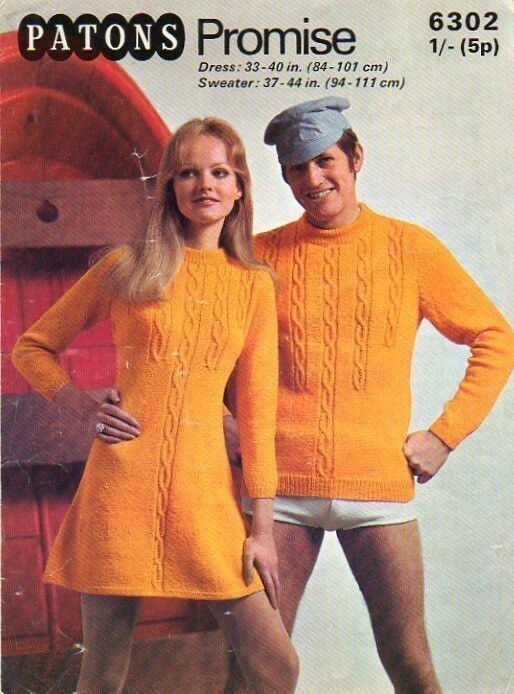 As with most things, knitting styles seem to be cyclical. 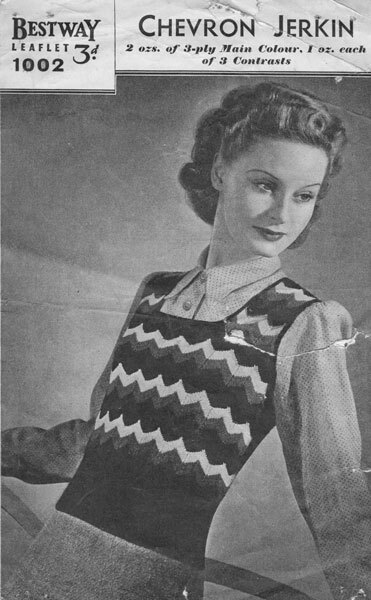 How popular are chevron stripes right now? 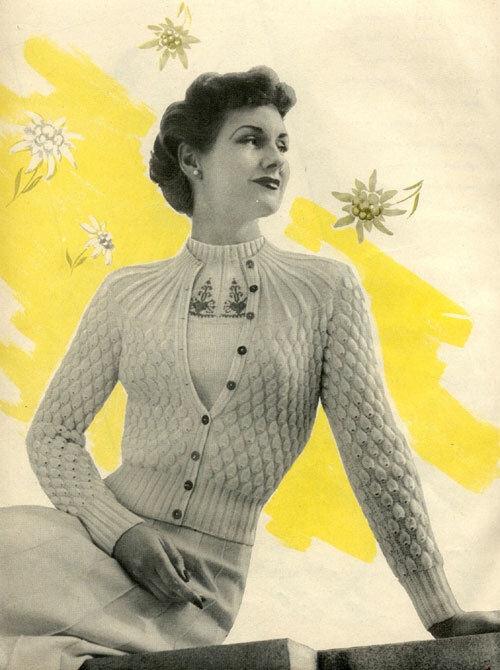 Look at this vest from the 40s! What about bunting/pennants? 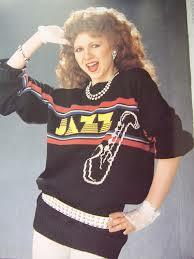 Check out this sweater! We are even starting to reinvent the vintage patterns that were once so popular. But with all things that are cyclical, there are some things we hope never make a comeback. Take this Wool Nose Warmer for example. 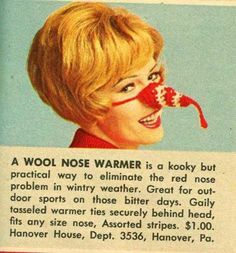 We all probably wish these were still popular in those wintery months when your nose feels like a popsicle but when the ad describes it as “kooky but practical,” you know it has to be something special. But how is one supposed to breathe? Don’t you think that mini nasal ski cap would be itchy? At least the tassel on the end DOES NOT include a tiny pompom. If it did, this accessory would be taken to a whole other ridiculous level! This Christmas, Wool Nose Warmers for everyone!! 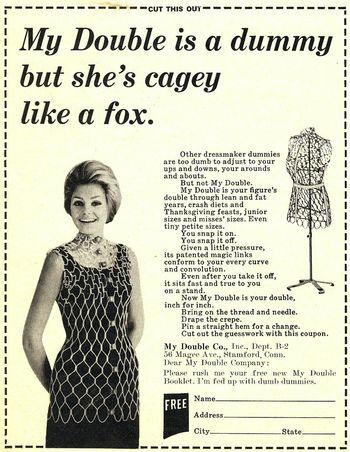 To end, here are a few sewing ads that really show how times have changed. 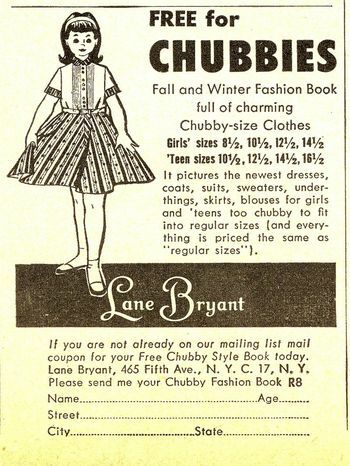 A “Chubby Fashion Book” actually existed. Seriously, Lane Bryant? The second ad is just weird. Imagine if sewing a pattern that fit required you to literally cage yourself in, what looks like, chicken wire! Hey all. Erin here, with some really exciting news! I’ll admit, I’ve been holding out a little on you. This has been in the works for a while now, but I wanted to wait to say anything. Until I was sure it was actually happening. So many balls were in the air and there was always so much that could go horribly wrong. But everything just keeps going right, and we can now very confidently say that Eat Sleep Knit is getting its very own, brand-new building, coming in Summer 2017! It all started out so simply – we were looking for a new space to rent when our lease was up. We’ve been in our current location for five years, and our business has grown and changed a lot in those years. We’ve far outgrown the original concept where I was, I guess for all eternity, planning to just sell yarn online out of my closet or something, (I know, it sounds insane to me now too. I just had no idea!) and the retail portion of our current space is getting tinier by the minute. We have a lot of yarn we want to add and nowhere to put it! Except, it turns out, the market for affordably-priced 10k+ square foot office/retail space is laughably small. It may not even exist. Warehouse spaces are typically too big with very little actual heated and cooled space. Retail spaces are typically way too small at prices that are 3-6 times what we’re currently paying. And none of the locations of anything remotely suitable were any better than our current one. But there was this empty lot near my house, a lot that had been for sale the entire time we’ve lived here, a lot which was, we figured, likely a terrible lot or it would have been bought already. Or maybe it was insanely overpriced. Or maybe it was terrible for a lot of people but good for us, and a few phone calls later confirmed that we could probably even afford it, and a miracle was born. Or the beginnings of one, anyway. What happened next was maybe the craziest thing I have done in my life; far crazier than quitting my very good job to sell specialty yarn online – we decided to go for it. We’d build our own building! A space all our own, built just for us. No more trying to fit ourselves into warehouse spaces built for things either too large or small, no more apologizing on the phone for our “unusual” location, a building that really works for Eat Sleep Knit and all of its customers. The SBA loan process was stressful and terrifying and there was a lot of explaining to people that yes, $60 yarn really exists and people really do buy it and we do actually have a viable business, but we were lucky to have a great bank guy who trusts our financials and was thus willing to do a lot of that for us. The next thing we knew, it was all systems go! Almost right away, they started the grading. It wasn’t much to look at yet, but the kids enjoyed having their own personal construction site to play in after hours. Well, I thought, I’ll just wait until the foundation is done. Then it will be really real, right? And on my 11th wedding anniversary, we got a foundation. It was impressive! It was a real building! There were so many concrete trucks, and you wouldn’t believe how fast concrete dries – this was taken maybe 3 hours after pouring was complete. And then on Friday, I drove by, and we had walls. Actual walls. And the contractor told me the crane is coming Wednesday to put on the roof, and oh had I picked a brick color yet, and over the weekend it’s all kind of hit me that the time is now – this IS actually happening, and I hope you’re all as excited about it as we are. The kids are very, very excited about “mom’s new work.” Levi tells me every time we leave the lot that “your new building is awesome.” And I have to agree. Though I still have to confirm that yes, we really are planning to “just sell yarn” here to some of the folks working on the building, who seem tickled pink at the very thought. For our Q1 KAL, we invited our knitters to knit-a-long with us on any Melanie Berg pattern. The response was amazing and will go down in ESK history as our most popular KAL! From Solaris shawls to Qwist Mitts, we saw so many of Melanie’s designs brought to life. You all truly knocked our socks off with your talent and eye for combining colors. We would like to feature one special project, Moroccan Spice Market by Jess in Tennessee AKA SweetBirchDesigns. Read along to hear all about how she gathered inspiration from her personal life to create this wonderful shawl. “When I first started dating my husband, he introduced me to spices like curry, cumin and cardamom. I had never really had these before and it literally enlivened me to explore cooking because there were so many wonderful possibilities. As I gained more cooking experience, I started experimenting with many more spices like cloves, cardamom, allspice, cinnamon and nutmeg and fell in love with each one for the fragrant qualities that they can impart to food and how they compliment different elements of a dish. I loved the On the Spice Market Shawl because it possessed a familiarity and I knew that I wanted to knit it from the start. I wanted colors that would embody the joy, excitement and wonder that I remembered when I first experienced the taste of something new and so began a search for the perfect colors. Morocco is known for their spice markets and I have always envisioned the wonderful smells that must greet one’s senses upon arrival and not only spices but beautiful colors of all kinds fill the atmosphere. So with that in mind, I wanted colors that reminded me of my favorite spices but also segued into the beautiful colors that surround the markets. Jess wrapped herself in things that bring her joy. Try this for your next project. What things make you happy? A special fabric? A pack of pens you use every day? The sunset at your favorite beach destination? Draw the colors from those and use them to make a keepsake that will remind you of whatever pleases you. We would like to thank Jess for allowing us to share her project and we hope it serves as guidance and inspiration for your next keepsake! Why? I just can’t get over her color combination: Esoteric, Mineral, Oscuro, Cardinal, Weathered Fram, The Fox, & Havana! Why? I’m a sucker for a gradient and this one is absolutely lovely! Why? It’s incredibly striking in the beloved Pop Rocks (RIP)! Not everyone can pull off that color and it must’ve been so fun to knit with such a happy color! Why? There were several beauties that I want in my closet, but I would wear this one with absolutely anything and feel cool & fashion-y for doing it. 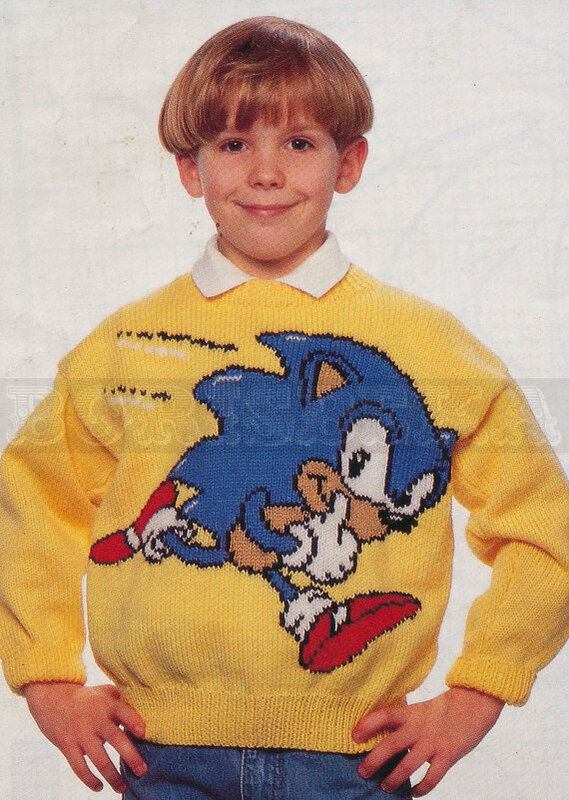 I might even go so far as to actually knit one myself! Why? I love the colors she chose for this, it reminds me of some hiking adventures I’ve been on! Why? It’s so elegant with fun mixed in. I would wear this every day! Why? I love this color! It feels like Spring. Why? I can’t say no to a Breton! If your project was picked by an ESK Kitty, please e-mail us at trivia@eatsleepknit.com. We will need your ESK username and, depending on the prize, some other information. 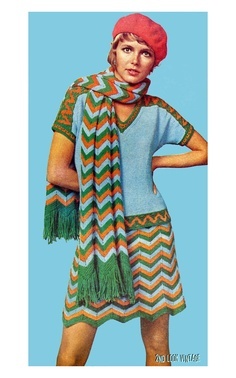 We hope you enjoyed this designer-specific KAL. Thanks to everyone who knitted-a-long and submitted their projects! Chubby from Hedgehog Fibres is an extra special base that we are so excited to carry. Beata Jezek had this base spun exclusively for her by the wives of shepherds in Peru. The black specs are spun into every skein which gives it its signature look. Chubby fits into the Super Bulky category which makes it ideal for cowls, hats, and other small accessories. Here are some pattern suggestions for this great new base! There aren’t too many patterns knit up in this base yet so, if you’re looking for more ideas, check out the patterns knit with Madelinetosh ASAP. A few of the kitties have knit a Drop Stitch Cowl and we absolutely love how the dropped stitches show off the uniqueness of hand-dyed yarn. If you know anything about Hedgehog Fibres, you will definitely want to show off the colorway you choose. If thinner cowls are your thing, just omit one of the repeats or knit less garter rows in between the drop stitch rows. 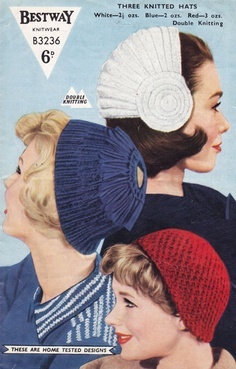 Knit Knit Hat was written by the brains behind Hedgehog Fibres, Beata Jezek. We especially love this pattern because it is incredibly quick to knit up and only requires one skein of Chubby! This would be a great pattern for beginners or those who just want to test out this new base. Chubby Garter Cowl looks like the most cozy cowl and you just can’t beat the simplicity of this pattern. Done and done! You’ve got yourself a cozy new cowl to cuddle up in or give away to someone special. Really Warm Hat is just that, a really warm hat! We love this pattern because of the classic stitch pattern and giant pompom. The gentle haze of Chubby would look fantastic and you will definitely have the warmest head on the block. 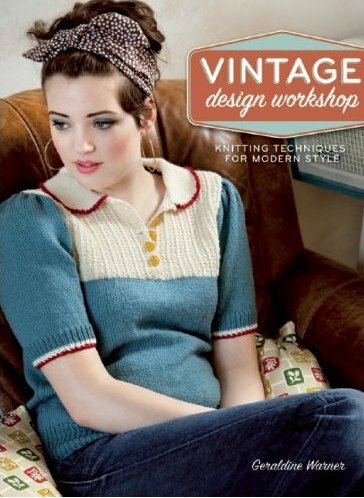 Have you knit something using Chubby? Show us in the comment section below. We always love to see your projects!